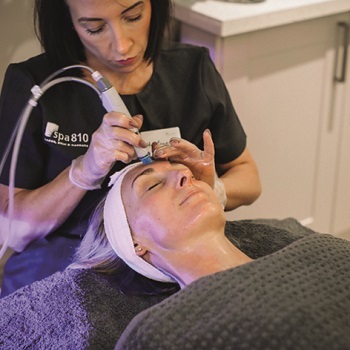 Duncan Berry has bought the UK and Irish rights for spa810 franchise. Established in Arizona, spa810 (pronounced spa eight ten) offers a selection of carefully curated spa and non-invasive medical treatments. Duncan has over 20 years of franchise experience behind him, having managed franchises such as Cartridge World, Choice Hotels and Bluebird Care, as well as being appointed twice to the British Franchise Association’s Board of Directors. 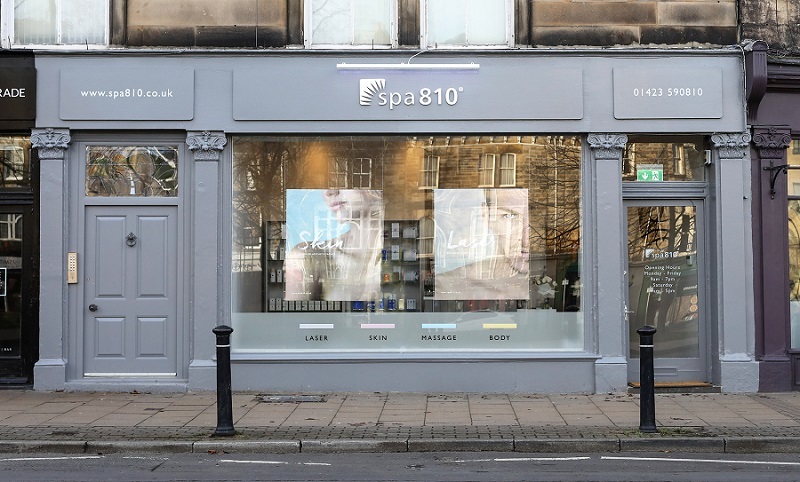 Duncan has opened the first spa810 in Harrogate, North Yorkshire and will ultimately develop a network of franchisees across the British Isles. In this article, Duncan talks about his spa810 journey so far and his plans for expanding the spa810 brand throughout the UK. whichfranchise is the official strategic partner of the British Franchise Association (bfa) . We work closely with the bfa and those franchise opportunities who are bfa members. whichfranchise only promotes ethical franchise opportunities in the UK. spa810 (pronounced spa eight ten) offers a selection of carefully curated spa and non-invasive medical treatments. The brand offers body sculpting, advanced facials, laser-hair removal and a variety of massages, all given by a highly trained and qualified team of aesthetic therapists and...ALL under one roof. spa810 fills a much-needed service offering and experience in the market between five-star spa hotels with high-end pricing and the independent, fragmented and inconsistent offerings provided at a local level. spa810 provides female and male customers with best-in-class treatments and an elevated experience in a convenient retail location. Massages, facials and skincare treatments are offered using market-leading, FDA approved technologies administered by professionals. Included in spa810’s suite of medical technologies are state-of-the-art lasers for hair removal and non-surgical fat reduction equipment. If you are interested in a strong, robust and profitable management franchise, contact us today. Over the past 20 years, the spa industry has exploded with people investing more in their health, beauty, and overall well-being. With an ever-aging population and new generations who have grown up going to spas, this dramatic market expansion is expected to continue for decades to come. spa810 is perfectly positioned to benefit from this huge market potential. Our membership model, diverse treatments, proven results, experienced staff, and unmatched service have attracted a loyal following and built a foundation for a successful and prosperous future. 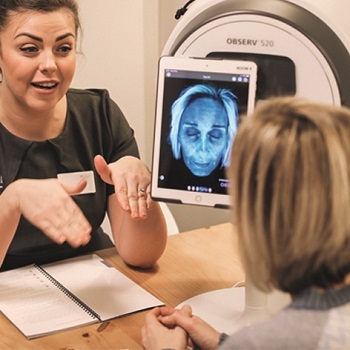 Our vision is to grow a network of profitable medispas all providing a consistently high level of treatment experience to our guests across the UK. Operating from c.2,000 sq. ft. retail units in secondary locations, spa810 delivers sought-after results driven treatments from the convenience and accessibility of a professional spa environment. Each spa will be well supported in the fundamentals of operating the business. There will naturally be an expectation on the franchisee to lead, manage, inspire and ultimately set the tone to ensure the brand requirements are being met. We recognise the areas that franchisees need most support in – HR, Marketing, Financials, Expenditure and Training / Education. How much does a spa810 franchise cost? 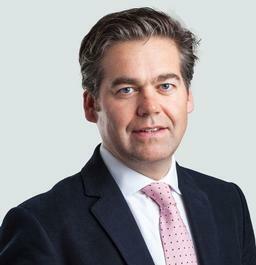 Total investment would also require spa premises fit-out and working capital requirements. help people feel rejuvenated, relaxed and more comfortable with and in their own skin. ideally have prior business experience and leadership and / or team management skills, profit and loss experience and preferably some experience of sales. What better way to learn more about spa810 than coming to see it first-hand! We’d strongly recommend a visit to the pilot spa810 in Harrogate, North Yorkshire, and an opportunity to learn more about the model. Interested and want to know more? By filling in the form below you will be able to receive a copy of the spa810 prospectus. This will provide you with more detailed information on the franchise opportunity and allow you to contact them direct with any questions you may have. This is FREE and non-obligatory; we never share or sell your personal information. Click here to see how we use the data submitted by you when you enquire about a Franchise. Click here to see how we use the data submitted by you when you sign up for our newsletter. I have been involved in franchising for 20+ years. I started working for CII (now VMG) looking after Business Franchise magazine and launching a new East Coast franchise expo in the US in 1997. I was then responsible for running Cartridge World UK and, later, across the 8 European master franchisees, Choice Hotels Europe and the 2017 bfa Franchisor of the Year, Bluebird Care. I decided it was time to put the learning from the last 15+ years’ experience into practice and take the plunge with our own master franchise. spa810 offers spa and non-invasive medical treatments such as body sculpting, advanced facials, laser-hair removal and a variety of massages, all given by a highly trained and qualified team of aesthetic therapists. The spa810 brand fills a much-needed service offering and experience in the market between five-star spa hotels with high-end pricing and the independent, fragmented and inconsistent offerings provided at a local level. When was the business established? And what were the factors for deciding to go down the franchise route? I launched the first UK spa810 in Harrogate in Feb 2019. Given my prior experience, it seemed the logical model to follow. What have been the company’s biggest achievements/successes to date so far? Hiring a fantastic Manager and great team who were willing to believe in our vision for a new brand into the UK market. What challenges have you had to overcome? Learning about a new sector. What marketing/promotional tools do you use to grow your franchise? We’re using a wide spread of activity, ranging from online and off-line. To date we’ve used a number of locally focused lifestyle magazines, two Royal Mail Door-2-Door mailers, extensive Instagram and Facebook posts, in-spa corporate event introducing local complimentary retailers to our concept, Open Days with our treatment equipment suppliers and we’re currently compiling a strong radio advert. What differentiates spa810 from the competition? We are a unique management franchise in the medispa sector where all the treatments are available on-site. Our membership offer allows guests to benefit from our range of results-driven treatments. What qualities do you look for in a franchisee? What makes a successful franchisee? The ability to provide leadership, set the right tone and culture in the business, be solution-orientated and understand the interdependent partnership that exists between franchisee and master franchisee all help contribute to a successful and profitable outcome for a franchisee. What does the future hold for spa810? Building on the strong start for the pilot operation in Harrogate and looking forward to sharing our experience of getting into this market with others to let them see just how strong, sustainable and profitable a market this can be for those wanting to run their own business. What expansion plans have you got nationally and internationally? We’re looking to build a strong network of well-located franchisees in markets that compliments the spa810 offering with an aim to reach 50 within the next 5-10 years.